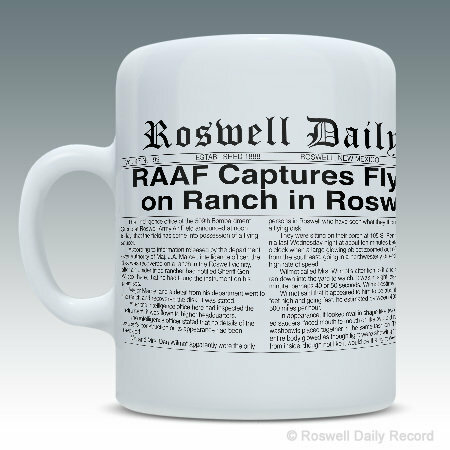 This ceramic coffee mug is perfect if you need a gift for a UFO Enthusiast, a Roswell Fan, or you just want to be awake enough to spot the aliens yourself! Makes a great gift for the Alien enthusiast, memorabilia collector or friends and family. Roswell Daily Record and Roswell Daily Record (Stylized) are registered trademarks of Roswell Daily Record, Inc. (U.S. Trademark Registration Nos. 5,275,682 and 5,275,682).